Jarrett Jack hit two free throws with nine seconds left to push the New York Knicks past the New Orleans Pelicans 105-103 Saturday evening in Louisiana. 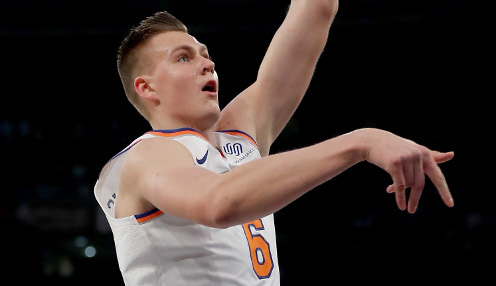 Leading the way for New York was Kristaps Porzingis, as the 22-year old power forward from Liepaja, Latvia scored a team high 30 points while pulling down seven rebounds and passing out three assists for the game. The bench was key for the Knicks, as the visitors outscored the hosts 42-10 with their reserves. With the victory New York snapped a four-game losing streak and pushed their record back to .500 on the season at 18-18. The Knicks currently sit in ninth place in the Eastern Conference behind the Miami Heat and Indiana Pacers, both of whom are at 19-17 on the year. Anthony Davis and DeMarcus Cousins continue to play well together for the Pelicans, twin towers in an NBA that has moved away from the traditional big man. The Pelicans are 2.00 to win the Southwest Division. The pair combined for 60 points while pulling down 28 rebounds and passing out five assists, with Cousins grabbing a double-double. Davis had the final shot of the contest, but missed a three pointer at the buzzer. New Orleans still holds strong with the eighth best record in the Western Conference at 18-18, with the Pelicans now on a two-game losing streak with the defeat. The Knicks will head back home to welcome the San Antonio Spurs on Tuesday. Meanwhile New Orleans is off to Salt Lake City on Wednesday to match up with the Utah Jazz. The Pelicans are 5000.00 to win the NBA title with the Cleveland Cavaliers 5.50 and the Boston Celtics priced at 1000.00.